You could call it putting words in someone’s mouth, which is far too mild. Or you could call it witness tampering, which is what it is. And if the jury had not hung itself, as I like to put it, and created a temporary lull in what may play out to be an even bigger deal than 9/11 and Sandy Hook, we would not have still another few months to potentially turn the tables … Those tables are very tough to budge but we can absolutely try, folks! Pete Hendrickson: My wife Doreen was indicted in June on a charge of criminal contempt of court for having refused to let the government stuff words in her mouth and make her regurgitate them over her own signature, under oath, while concealing the fact that the words had been forced upon her. A truly bizarre and unprecedented event in American jurisprudence, to my knowledge. The government effected this by requesting a court to make this order to my wife seven years ago … and the court did [so] six years ago. And since that time, my wife has exercised her First Amendment rights, not to mention due process rights, because the words the government has asked her to be made to say involve testimony in a civil action in which the government is a party and from which it would benefit if she were made to say what the government wishes her to say. Fetzer: Peter, as I understand it, the government is asking your wife to make an admission that is contrary to her own belief and knowledge – in other words, the government is trying to compel her as a witness to give false testimony under oath. Fetzer: That is just stupefying! I mean, what has become of our whole legal process and system that an absurdity of this character can take place? Hendrickson: Indeed. 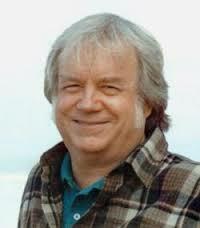 The fact is that the government recognizes that there is a huge issue at stake here, and that is its ability to continue prosecuting its income tax scam – which is to say the manner in which it successfully exploits the ignorance of the American public about the true nature of the income tax–and this order to my wife is an effort to shut her mouth, basically. It isn’t only that the government is demanding that she say the words that it wishes her to say, but it’s actually also demanding that she repudiate her previous freely made testimony about the issue involved here. And that’s because her freely made testimony thwarts a government effort to impose the tax on earnings of my wife’s that do not qualify for the tax. What the government has asked the court to do is make my wife declare her agreement that her earnings do qualify for the tax, sparing the government any obligation to prove its allegation – an allegation, by the way, which it has never dared make over its own signature – anywhere. My wife’s earnings don’t happen to qualify [as taxable income], which is why there has never been an assessment against her in all of those years, and we’re talking 11 years back now, by the way, from the time that this freely made testimony went into the record, and in all that time there’s never been any dispute about the fact that she owes no tax and received nothing that was subject to the tax in that period. … [The government is] attempting to force a litigant in a legal contest to agree with its version of the facts. The principle that’s being violated here is not a principle that only has relevance in this immediate circumstance. This is a principle that has relevance in any litigation. If you think about this, anytime the government would now want to do something to somebody, and do it by way of the fiction of a court proceeding, it will be able to ask the court to force its opponents to agree to its version of facts. Meaning that there is effectively no litigation. Anything can be done at that point. This principle will not be limited to tax cases. If the government decides it wants to take your kids, it now has a precedent by which it can have a court order you to declare yourself an unfit parent. It can have a court order you to admit to abusing your children. It can have the court order you to declare anything. The trial was intense. I attended all three days. The emotional exhaustion was far greater than any physical exhaustion I have known. Trying to sit motionless, resisting the urge to show reaction to the behavior of the criminal actors for three days was a real challenge. Doreen ran the show for her defense and used her [public defender] attorney sparingly and wisely. I have never seen such composure and gentle confidence as I witnessed in Doreen. Being charged with disobeying a court order to bear witness against herself and falsify a document, she stuck to her guns and refused the court’s order to purge herself. Of course the criminals tried every which way to turn that around and make it look like she was in contempt, which the evidence clearly showed she was not. Tasked with having to make a jury discern truth from fiction, I must say Doreen did a heroic job. Any reasonable person [unwilling to] succumb to intimidation [could] arrive at only one conclusion: that Doreen is innocent of the charge. I am accused by the government of having committed a crime for refusing to obey an order to swear to facts I do not believe are true. I agreed to obey the order if I could also simply add to my signature that I had been ordered by a judge to swear to the facts. That didn’t suit the government however. Not only must I obey an order to swear to something I do not believe, but I am not allowed to indicate that I’ve been ordered to swear under threat of imprisonment. This began more than seven years ago. The government did not like testimony I had given by affidavit in an income-tax-related civil case. Frankly, every single person to whom I’ve ever explained this case finds it inconceivable that such orders have been made to an American. Equally incredible is that an American could be threatened with prison for insisting on her right to control her own statements and beliefs. As best I have been able to discover, no American court has ever made an order like this before; nor has anyone ever before been subjected to criminal charges for refusing to swear to testimony dictated by the government. Luckily, the jury could not agree on what the court and government wanted, which was a criminal conviction of Doreen. At least there are one or two regular Americans (we don’t know how many jurors went which way) who aren’t asleep at the wheel. 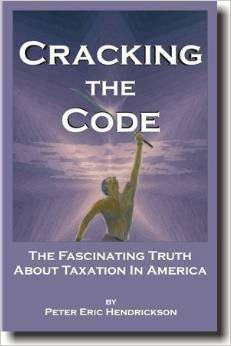 The jury did ask to read Doreen’s husband’s book Cracking the Code: The Fascinating Truth About Income Tax In America, and they were allowed to do so. I asked Pete how this was possible, and he said it had (finally!) been admitted into evidence. I mused aloud about what they could have gotten out of it in such a short time, and he said: “Enough not to convict her.” So someone was wondering, which resulted in the calling of a mistrial and a stay until May which is when the new trial is scheduled. How many people can wake up in the next six months, I am wondering … enough to deny the Beast its weekly meals of paycheck withholdings, volunteered quarterly bonuses, estate taxes and all the other goodies we provide it because we simply don’t realize? ← This Is What It Is, Except When It Is Not. The Ancient Art of Self-Defense (The Trial). Attorneys work for the system, not for their clients.